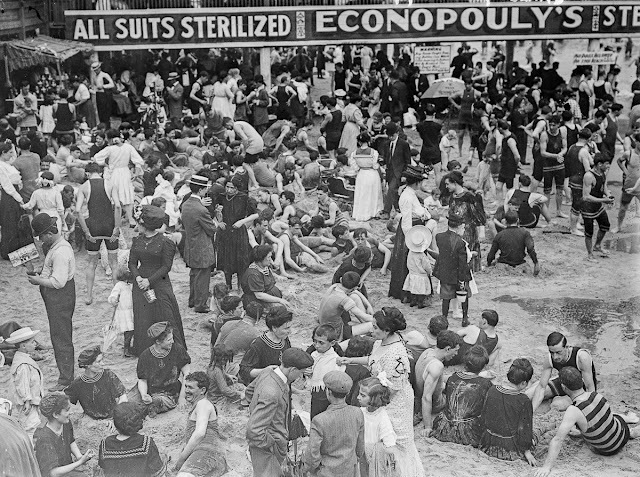 Coney Island is a peninsular residential neighborhood, beach, and leisure/entertainment destination of Long Island on the Coney Island Channel, which is part of the Lower Bay in the southwestern part of the borough of Brooklyn in New York City. 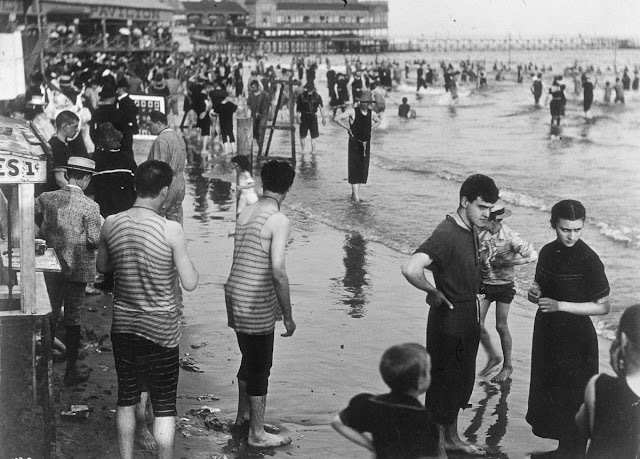 Coney Island was formerly the westernmost of the Outer Barrier islands on Long Island's southern shore, but in the early 20th century it became connected to the rest of Long Island by land fill. 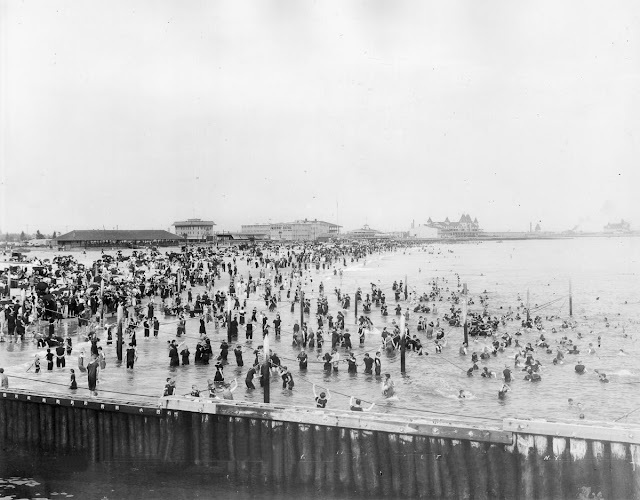 The residential portion of the peninsula is a community of 60,000 people in its western part, with Sea Gate to its west, Brighton Beach and Manhattan Beach to its east, the Lower Bay to the south, and Gravesend to the north. 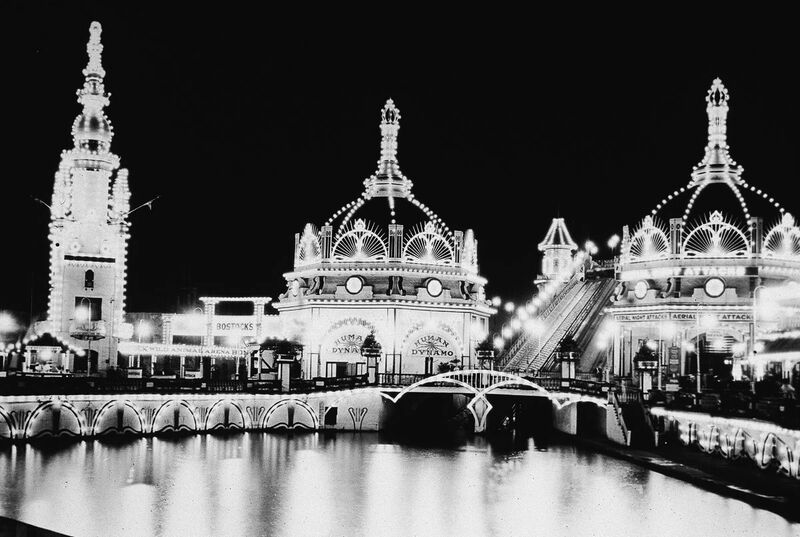 Coney Island was originally part of the colonial town of Gravesend. By the mid-19th century, it became a seaside resort, and by the late 19th century, amusement parks were also built at the location. The attractions reached a historical peak during the first half of the 20th century, declining in popularity after World War II and following years of neglect. 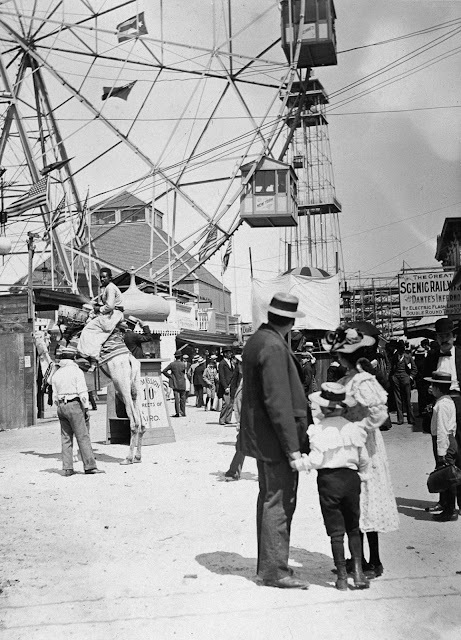 The area was revitalized with the opening of the MCU Park in 2001 and several amusement rides in the 2010s. 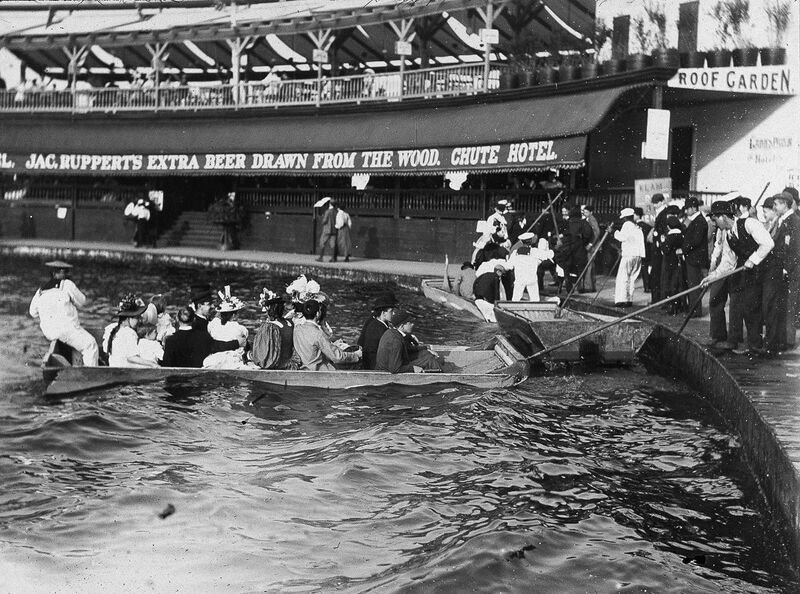 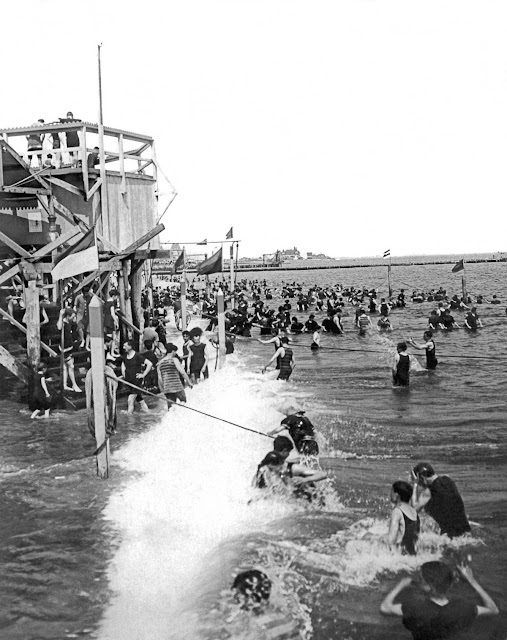 An attendant hooks a barge full of passengers on the water chute ride at the Coney Island amusement park, 1896. 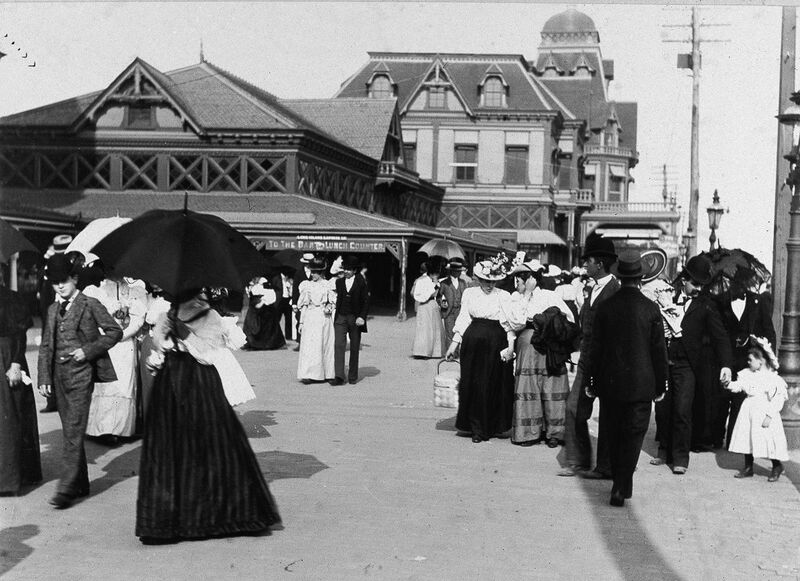 People approach the ticket booth of the Algerian Theatre on the Coney Island boardwalk, 1896. 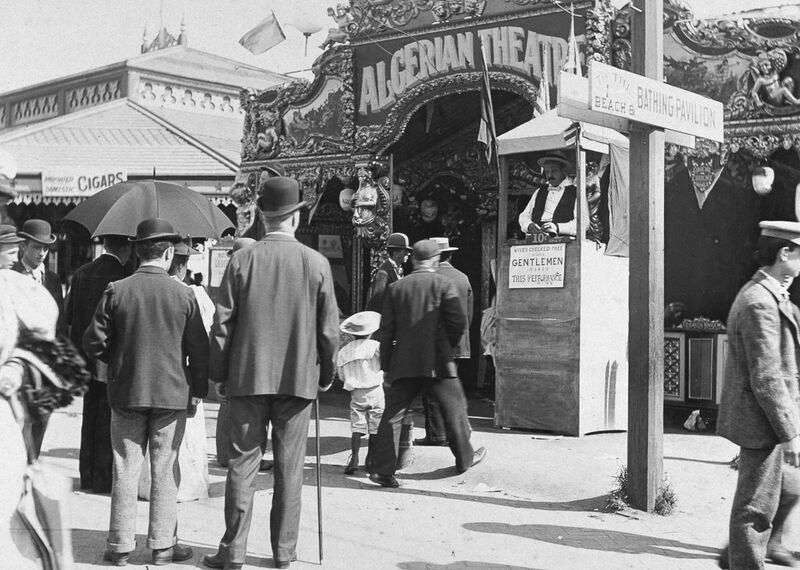 A family peers at a man riding a camel, part of an Egyptian-themed attraction, 1896. 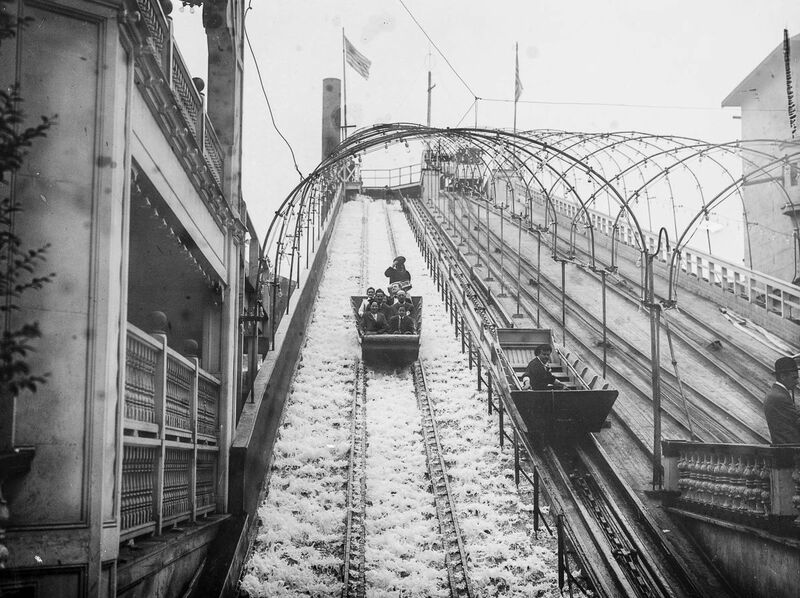 Thrillseekers ride the water chute at the amusement park, c.1900. Coney Island's Luna Park is illuminated at night, c.1900. 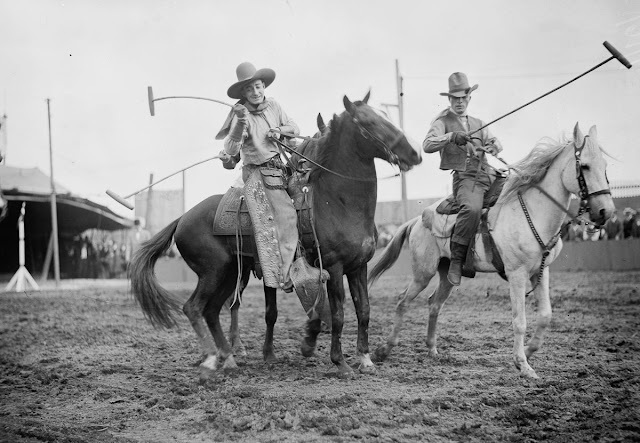 Riders compete in a game of "Wild West Polo" at the Coney Island fairgrounds, c.1900. 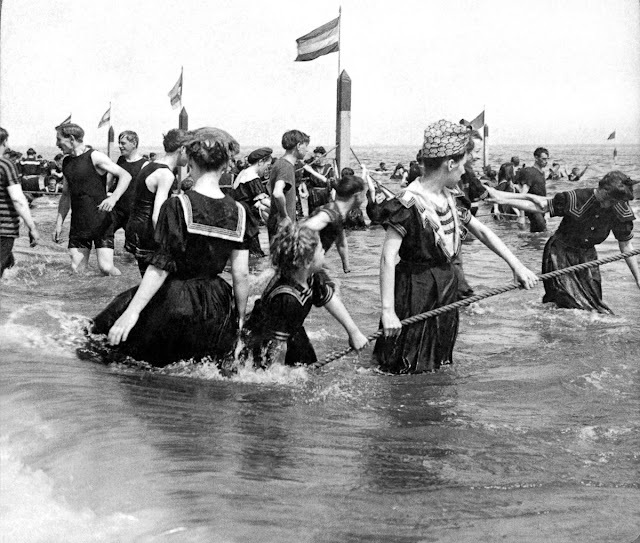 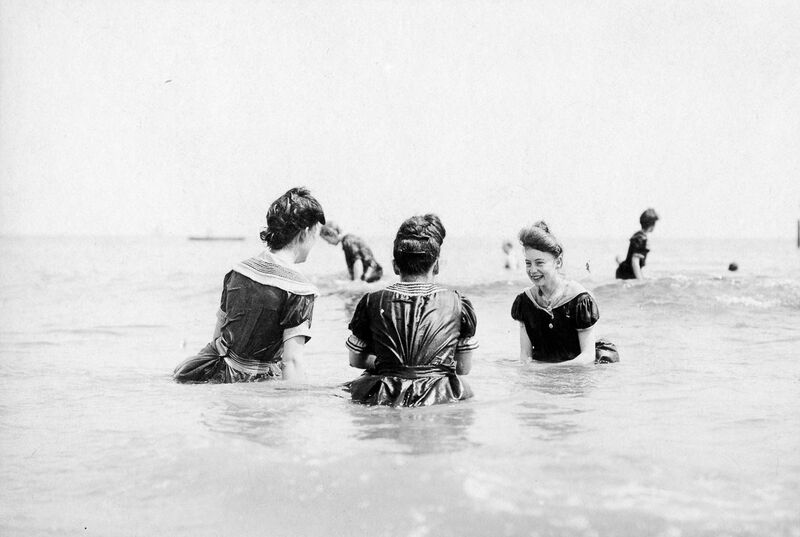 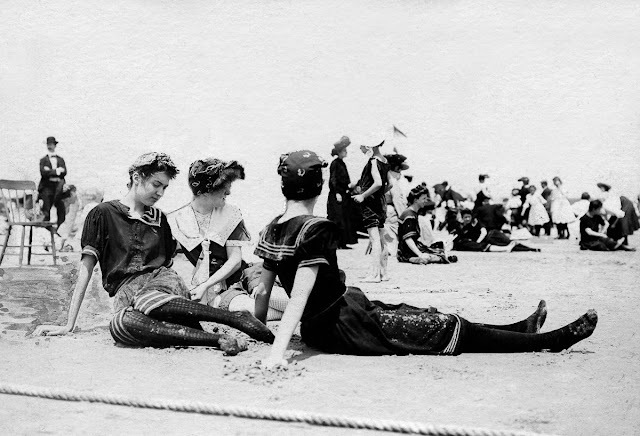 A bathing costume rental company advertises its sterilized suits on the Coney Island beach, c.1900. 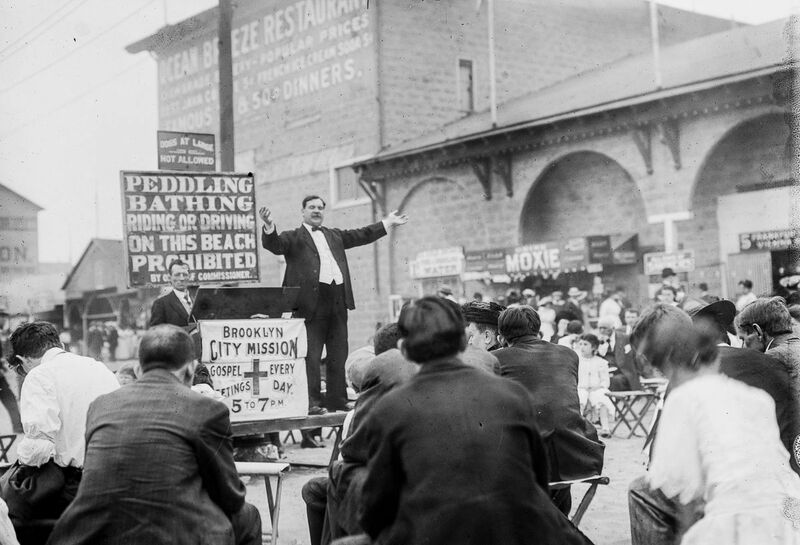 A street preacher proselytizes to revelers on the boardwalk, c.1900. 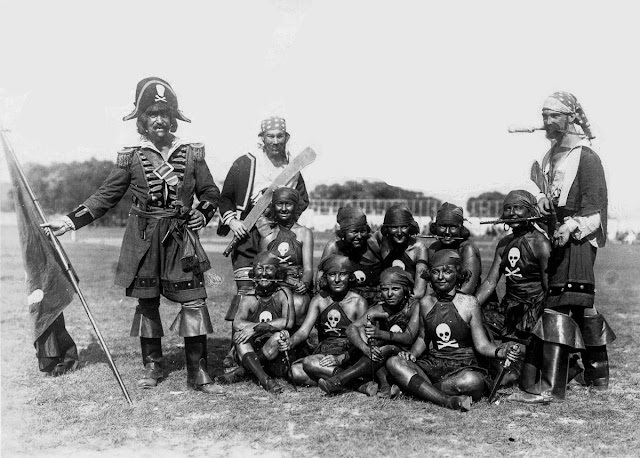 Parade revelers dressed as pirates pose for a picture, c.1900. 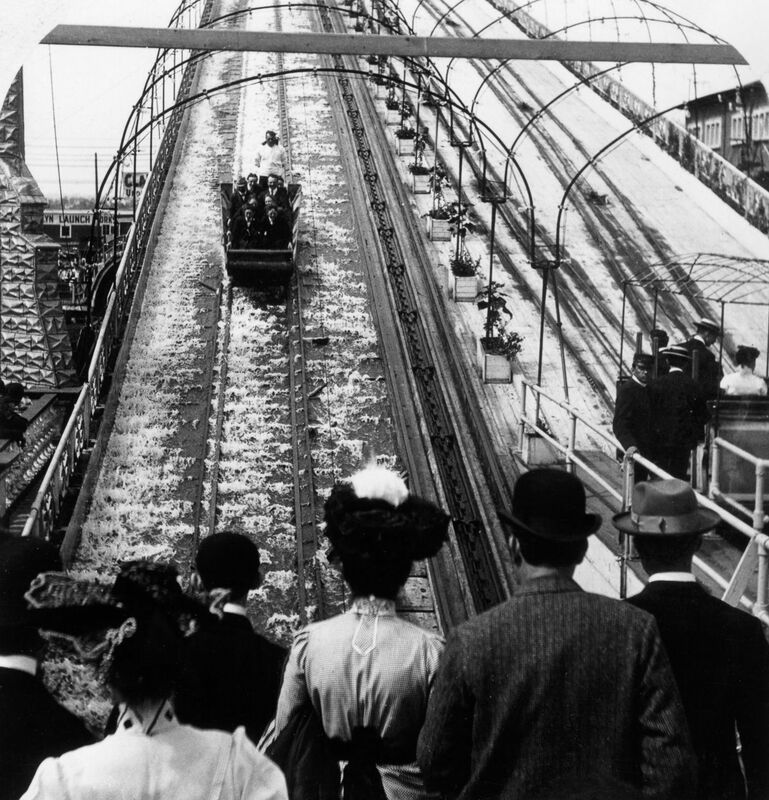 Spectators watch as riders plunge down the "Shooting the Chute" ride at Luna Park at Coney Island, 1903. 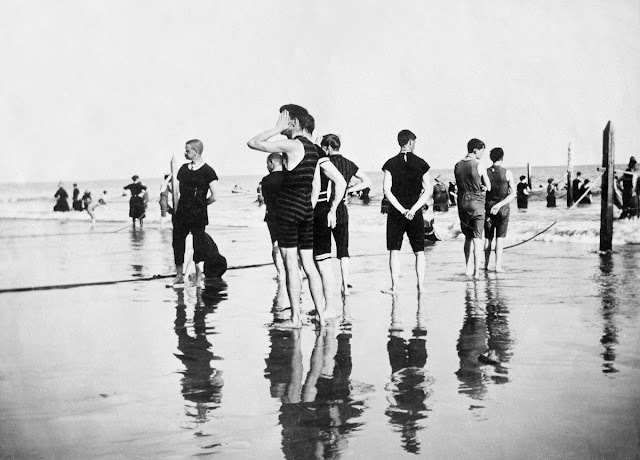 Bathers hang on to ropes as they make their way out into the breaking surf, 1903. 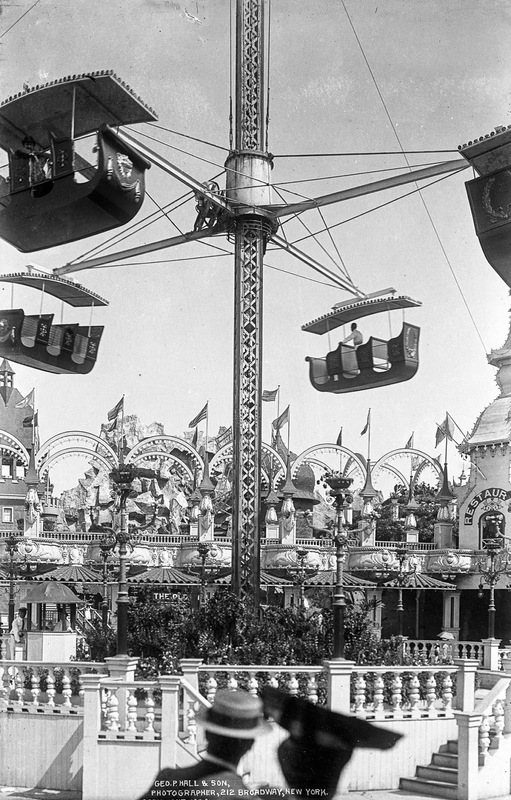 An elevated spinning ride at Luna Park, Coney Island, 1904. 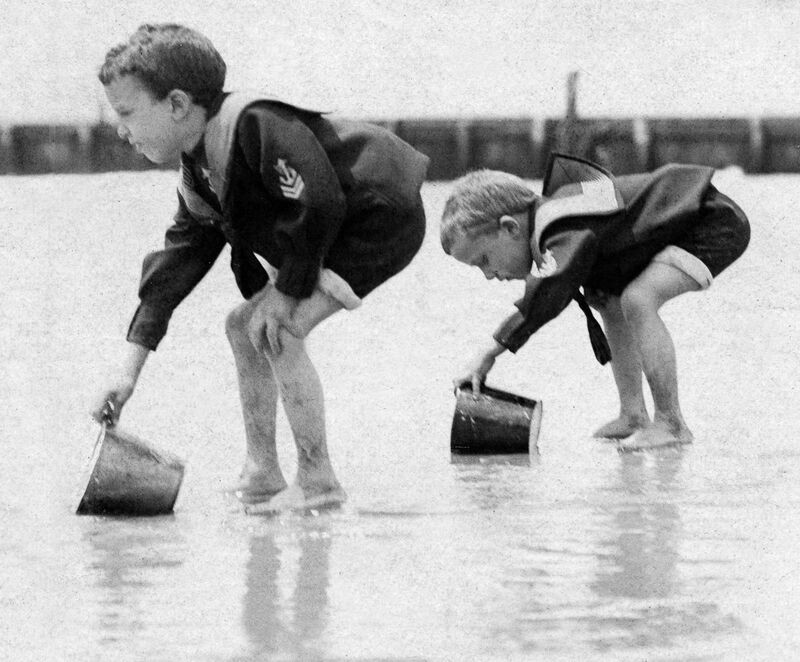 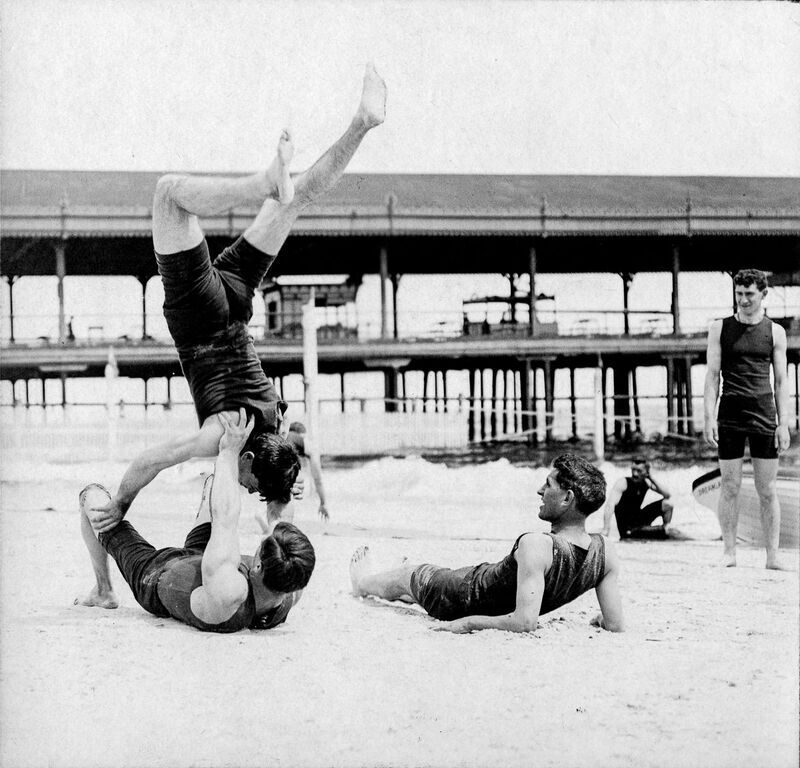 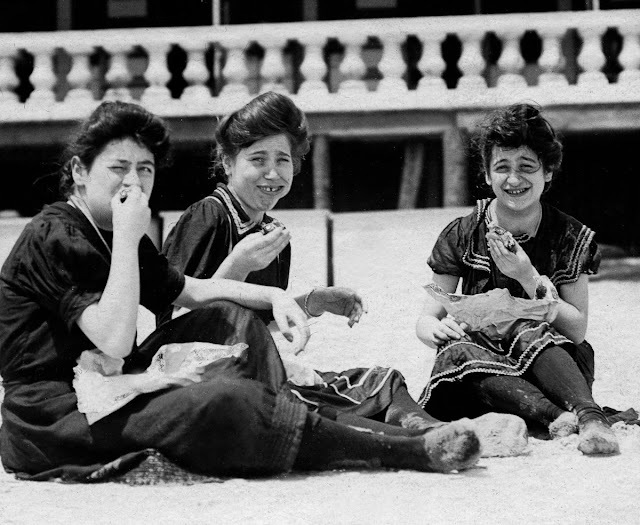 Bathers enjoy a snack on the beach, 1904. 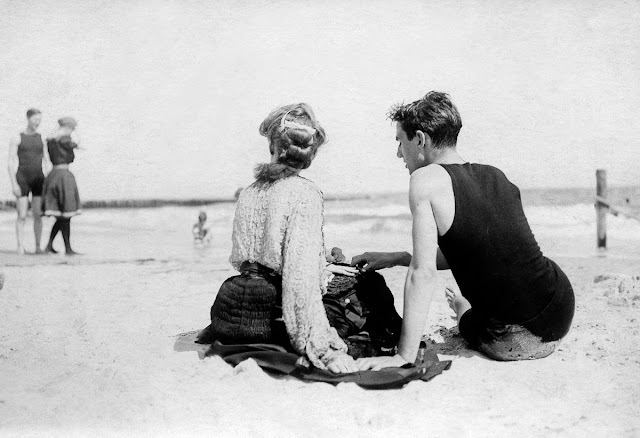 A young couple relax on the beach, 1904. 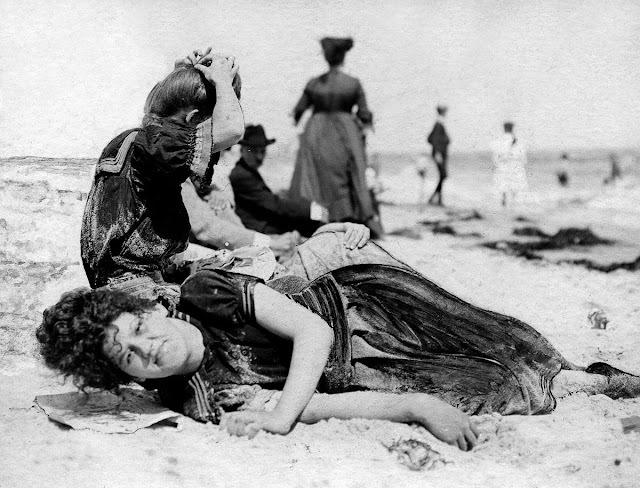 A young bather's nap is interrupted by a photographer, 1904.